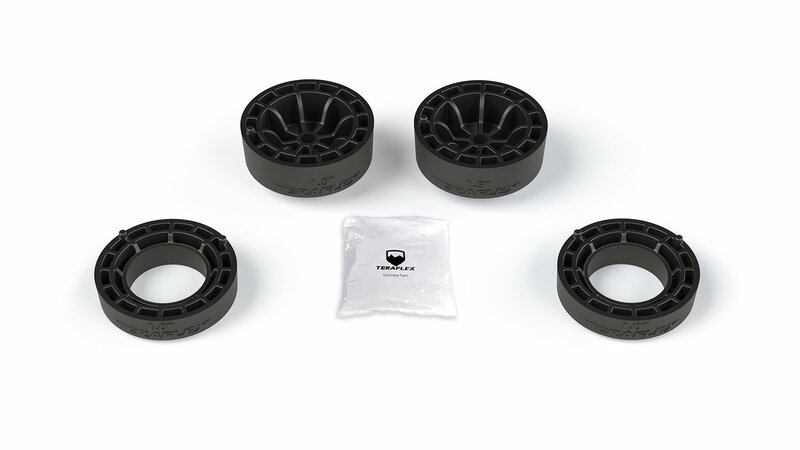 If you need extra clearance for off-road excitement, trail blazing, or over-landing adventures then definitely consider the 1.5" Performance Spacer Lift Kit for Jeep Wrangler JL from Teraflex. Maybe you're looking at aftermarket bumpers, winches, and roof racks to beef up your 2-door JL. Consider this lift kit to compensate for all of that added weight. The lifted ride height will also compensate for the weight of any gear that you might be hauling as well as give your rig a more aggressive stance by getting rid of factory front-end rake. Note* Max Tire Diameter of 33" applies to Wrangler JL Sport, Sahara, & Rubicon model Jeeps.